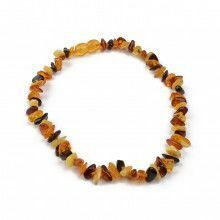 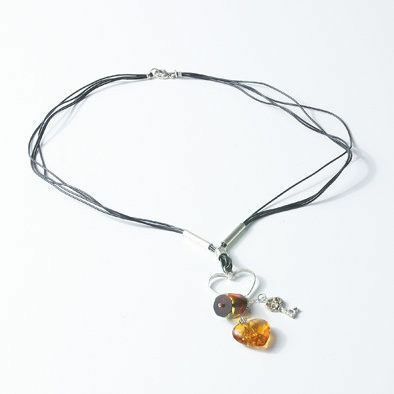 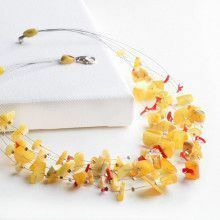 The necklace consists of a soft wire-like multi-strand cord that features a two honey amber stones, and a key made out of genuine .925 sterling silver. 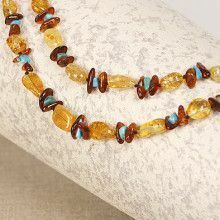 The wire measures 18" in length. 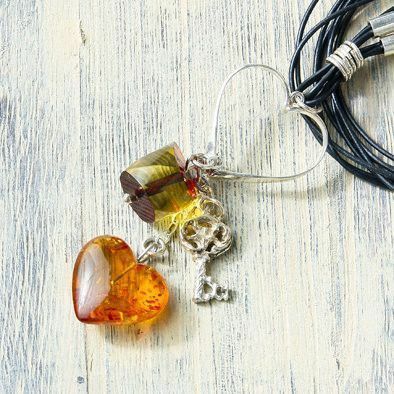 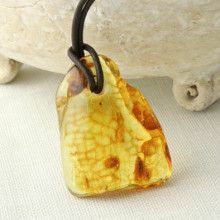 The heart pendant is made of a vibrant honey Baltic amber stone and measures 3/4" in length, while the other amber piece is a light cognac color and measures 1/2" in length.